Like last year I went also this Advent season for one weekend to a capital of a Nordic country. This time: Copenhagen. 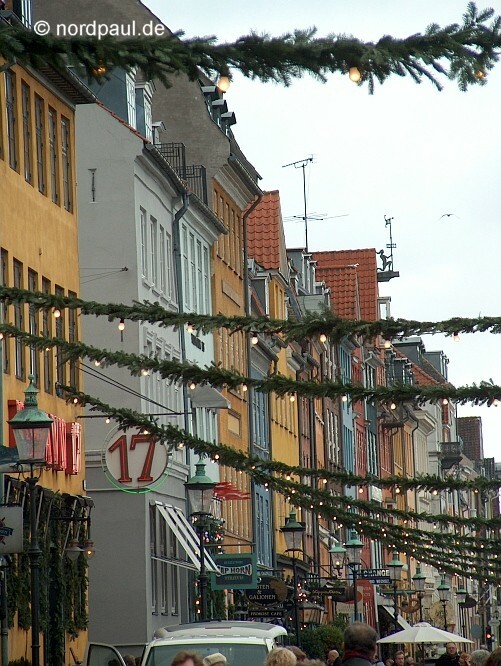 After having gone to Stockholm in advent season of 2004 this year I went to Copenhagen. 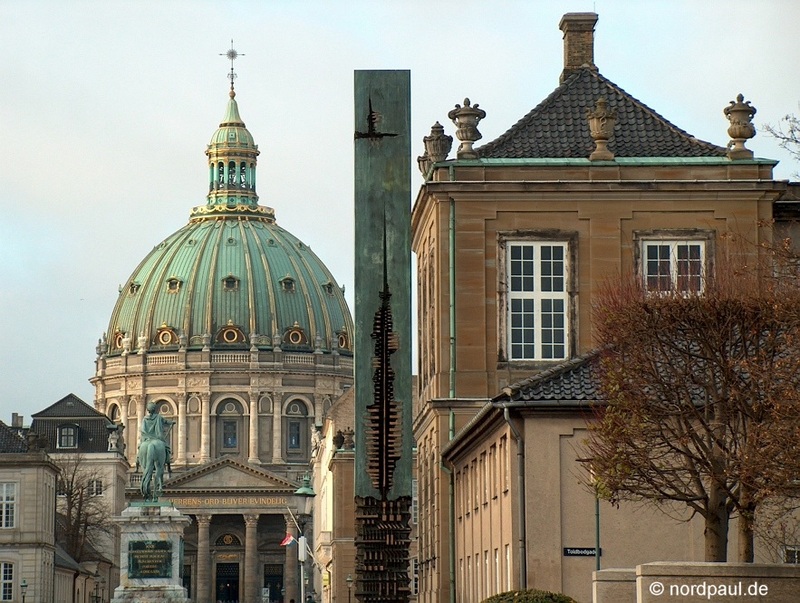 The Danish capital welcomed the visitors with a lot of sunshine and without wintry temperatures of nearly 8 degree centigrade. 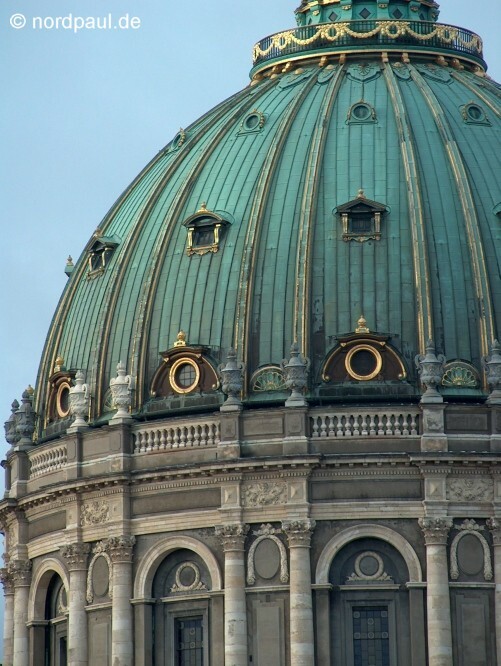 The Royal Castle Amalienborg is situated only some minutes walk north-east of the pedestrian zone of Copenhagen. At the castle you can keep an eye on the change of the Royal Guards. 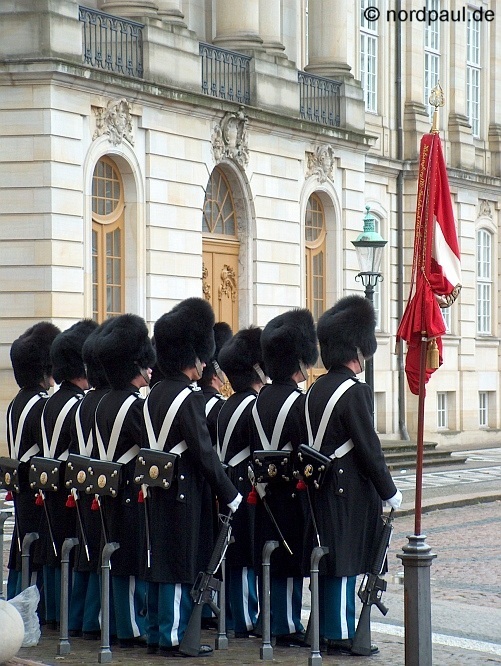 Before this the Royal Band marches from the castle Rosenborg through the city centre to Amalienborg. 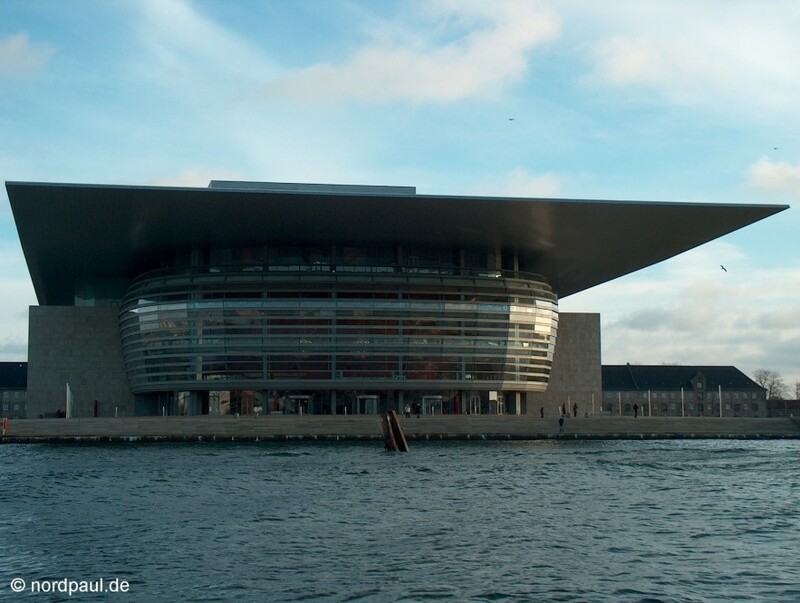 The court of Amalienborg, the Marble Cathedral (Frederikskirke) and the new builded Opera at the other site of the harbour channel are axial to each other. 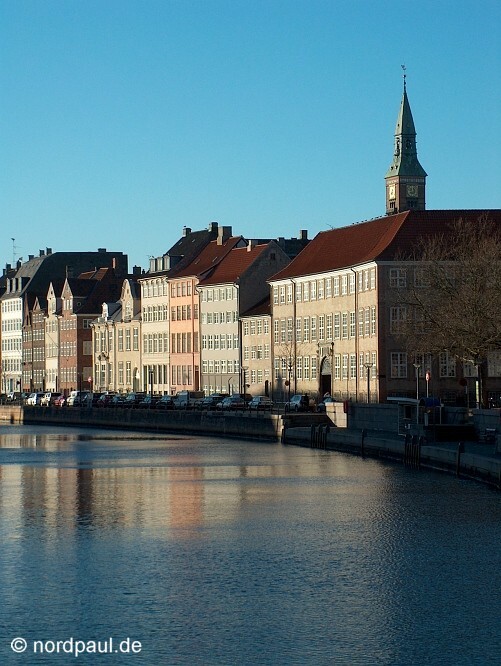 Only two crossroads away from Amalienborg you can find the New Harbour (Nyhavn). During the advent season there is a little christmas fair. 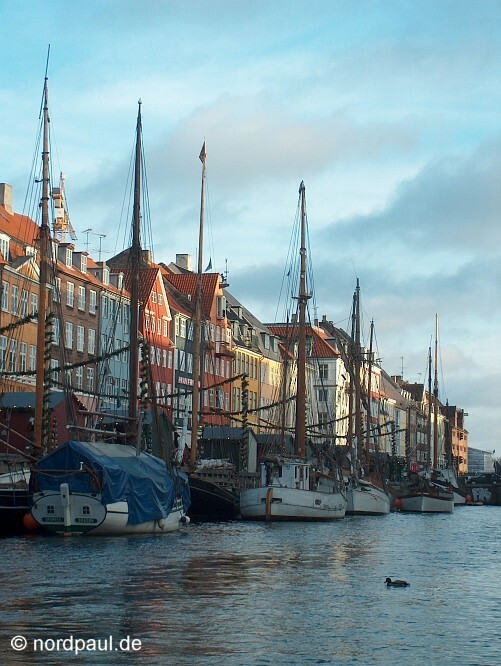 But also in other times Nyhavn is well decorated. 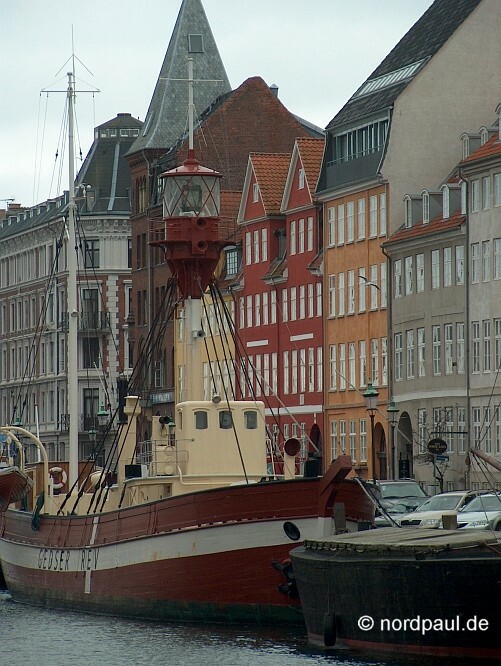 All the year round some tourist boats offer one hour sightseeing tours on the channels of Copenhagen. These sightseeing boats go among other places also through the channel around the castle Christiansborg. 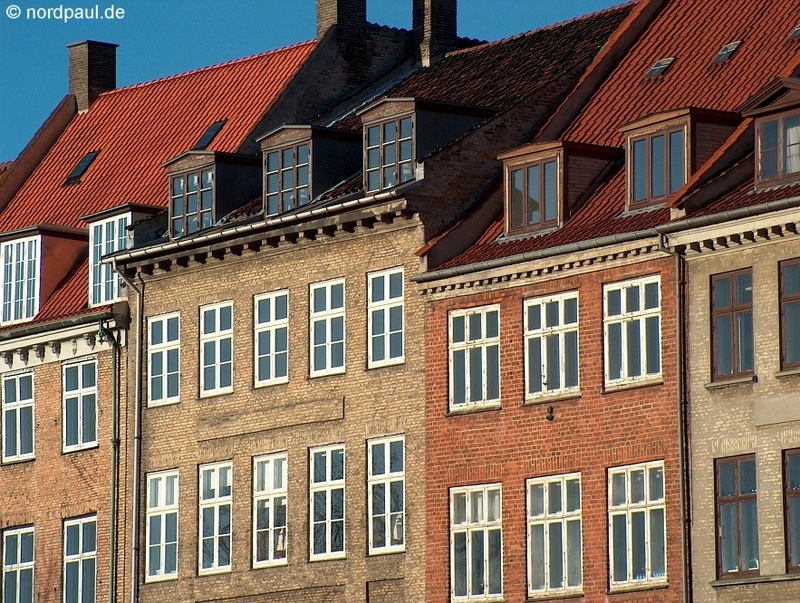 At the waterside of Gammel Strand you will see still today the old houses with ist colorfull clinker storefronts. 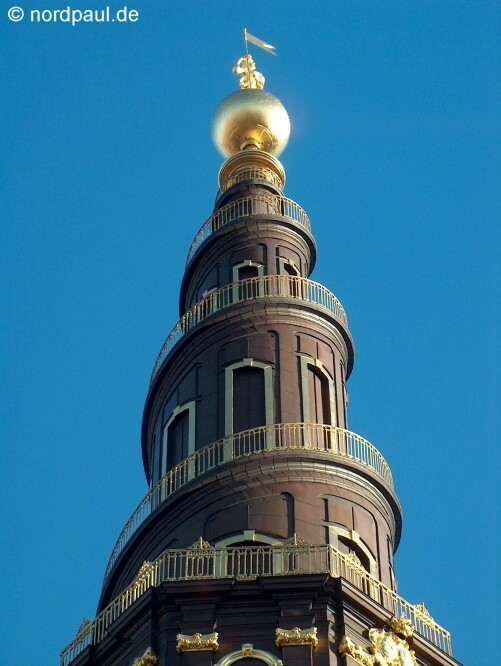 Very worth seeing are all the different towers of Copenhagen. 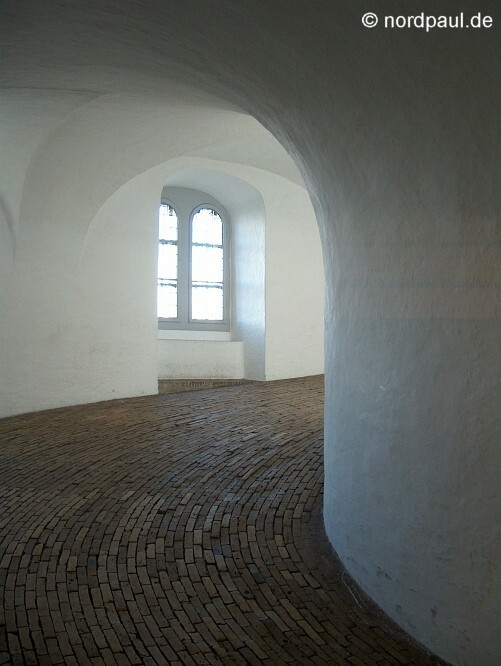 The round tower (Rundetårn) in the northern part of the pedestrian zone offers you a great view over the capital. 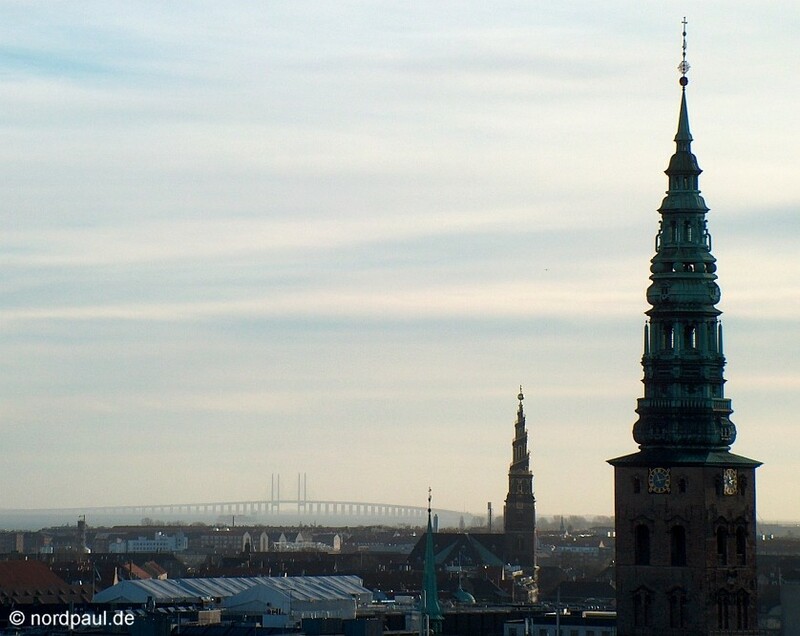 If the weather is kind you can see the Öresundbridge (which connects Denmark and Sweden) behind the rotated tower of the "Vor Frelsers"-Church. At the last picture I show you the big square Kongens Nytorv. At the buildings and trees are shining thousands of lights and in the middle of the square there is an ice rink. 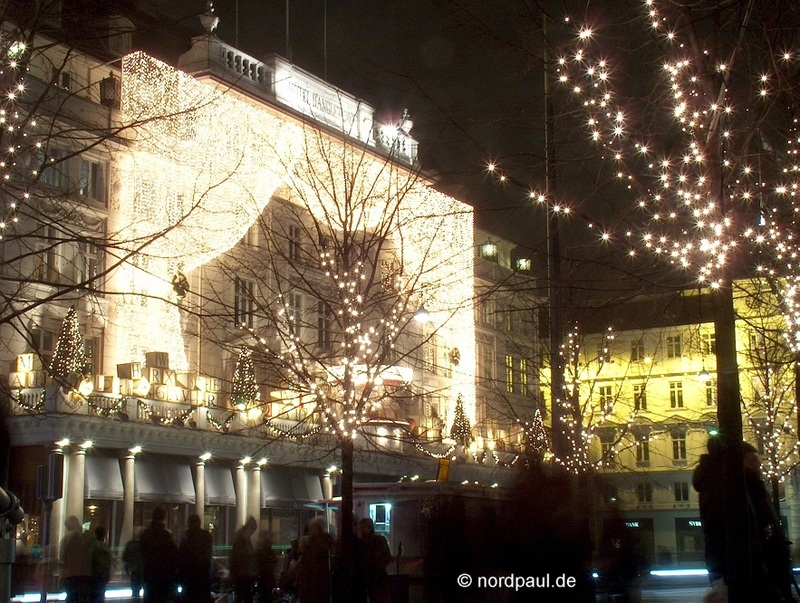 This was Copenhagen in advent season.